Browse our unique selection of Marble Burial Markers. Durable granite markers to commemorate a burial site or as a memory marker. Beautiful memorial for placement in a pet cemetery or cottage. Laser engraved picture and text included. Proofs are always supplied before engraving. Customize a marble marker suitable for outdoor or indoor display. 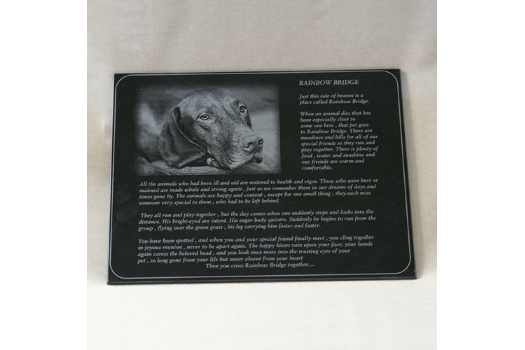 Your choice of words, poems, dates and your pet's picture laser engraved. An easel is included to display your memorial keepsake. 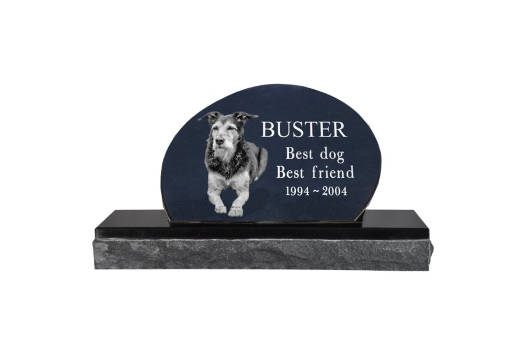 Sizes 5", 8", 10", 12"
Create your heartfelt design on a beautifully polished granite marker. Photo Laser Engraved Granite Marker allows you to take a favorite photo of your loved one and turn it into an exquisite burial marker. Because each memorial marker is custom made of true granite, there may be slight variations in the color and pattern of the stone. 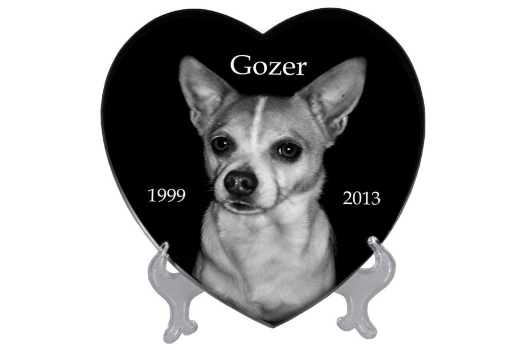 Can also be engraved with name and dates or a special message to your pet.